And out of nowhere, the proof coin arrived! This is the test stamping of the coin that was created for final sign-off by me. The coins will be manufactured by the Monterey Company. 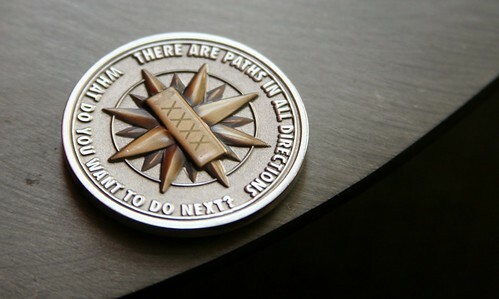 The final coins will have unique numbers instead of the XXXX you currently see on the compass rose. The coin is made using antique gold (lamp, compass rose) and shiny silver (everything else) plating. The tiny text behind the lamp is text taken from the original version of Adventure. it is 1.5″ diameter. Thickness is 3mm. I believe the gold is 22kt, but I’ll have to double check with the factory about that. And, again, one of these is included with each copy of GET LAMP sold through the site. I do believe I’m going to tell them to get started! Absolutely gorgeous! Top quality work, Jason. I can’t wait. Great work, can’t wait to get my hands on one. How many coins are you going to have made? 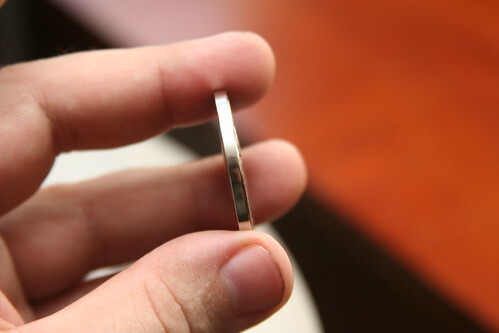 There will be one coin for at least the first four thousand copies. Bloody awesome. You’d easily sell these seperately as well! Jay: A very classy way to create value-added for the DVD. 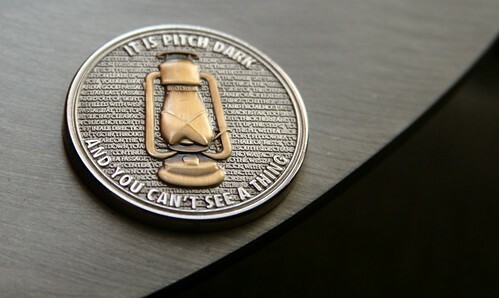 Go ahead, pirates, torrent it—but you won’t be getting one of these sweet coins. Unbelievably gorgeous, excellent, totally made me finally place that order. This will look gorgeous sitting next to my treasured zorkmid! Thank you for your order! We are very pleased on how these coins came out. By the way, I just followed you on Twitter. i want to make this my talisman. I played that game! I’m gonna buy me one and have it set into a pendant…..
Have the coins come out? Didn’t come with shipment. Great DVD though! David, they absolutely did. As someone hand packing these, the occasional coin doesn’t get into the package. I will send you your coin immediately. Don’t worry, I have your address. 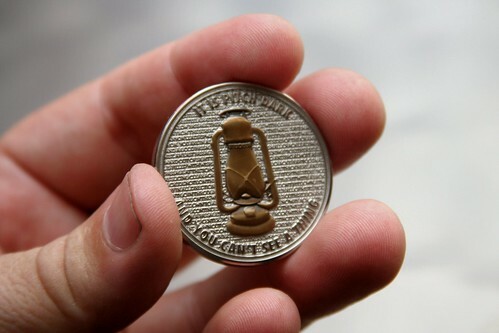 The coin arrived today — very very nice! Thanks! It’s been 2 weeks since I ordered, can’t wait for it to arrive. A tracking number would have been nice to have. But I’ll keep patiently waiting! I’m excited to get not just the coin, but the video. I have a lot of friends I’d love to share it with. Actually, it all arrived later the day I posted that. Truly a beautiful coin. Several of my friends I’ve shown it to asked what it means, what is the coin about. My response is simply the explanation of text adventure games. There’s only so many ways you can play a first person shooter. You aim and click. But text adventure.. you stare into those words, and suddenly you’re no longer at a chair, you’re actually inside a passage with many different paths to take, wondering where to go and what to do next. The world is far more alive, because your mind is creating it, it wasn’t someone else’s mind who slapped it into a compile of code and pixels and sounds, it’s your own story. Received my copy of Get Lamp a couple of weeks ago — awesome documentary. To me, at least, it was worth it for the Infocom doc alone. The coin was an added bonus — wasn’t expecting that. Nice! Coins are still available if, say, I ordered tonight? Got Doc for my B-Day over the weekend. Watching it now during my commute. Already I want to play IF again, right now, foregoing all other things in my life for hours…nay, day’s on end. I call it the perfect present because I would have been indecisive about getting it for myself (only cause money is so tight right now) but as a present it has added sentimental value. It’s really enlightening to finally hear from these people who were at the heart of the movement that helped shape my youth, my creativity, and my way of thinking. The coin is absolutely stunning! I’ve only ever completed a (really bad… no REALLY) IF work (address above), but like you I made it a point to chronicle and document. It’s the only gift I can offer in return. Thanks for helping me remember something that had been forgotten and was missing from my life for a long time. edit….. Jason…not David…sorry. My brain has been Suspended as of late. I know i’m a bit late but i just ordered a copy of Get lamp. Am i going to receive a coin as well? I would really love it! Absolutely. All sold copies get coins.